“Sounds great,” he said or something like that. I was totally impressed and told the couple of jaded comedians at the bar, “That was Kurt Vonnegut.” They nodded casually. Stand up comics do not swoon. But he didn’t come back. Then a couple of years later I was having a party with Dan Wakefield at my house and Wakefield had invited Vonnegut. Vonnegut called to say he was sorry but he couldn’t make the party. I think he had a cold. “That’s okay,” I told him. “Feel better.” So basically, I had a few near misses with the great man. But I feel I got to spend time with him when I read this new collection of commencement addresses, edited by Wakefield, If This Isn’t Nice, What Is? Advice for the Young. In the forward, Wakefield points out that Vonnegut took part in his communities. Like, he was in the Volunteer Fire Department and taught a Great Books course with his wife. 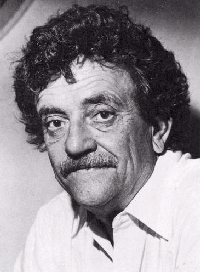 Vonnegut extolled compassion and neighborliness. Each talk is unique. There are several themes, one of which is how Jesus slammed down the Code of Hammurabi (an eye for an eye). I know there’s a winter wonderland outside my New York City apartment today. 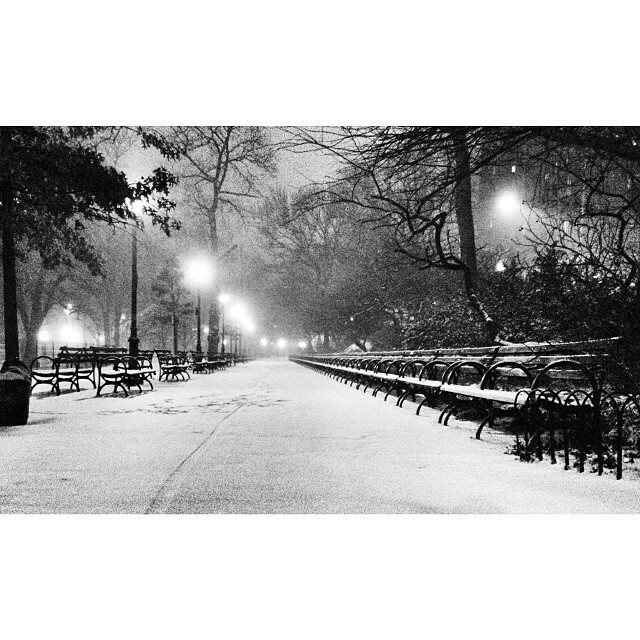 I took this pic of Riverside Park last night with my iphone. I have no idea why I’m writing about Vonnegut now. Except I started this post a while ago and I’m cleaning out my blog’s dashboard. It just seemed like today was a perfect day to read Vonnegut and Wakefield. Since we’re all trapped inside on this snow day, I recommend that you got out of your own head and be inspired by If this isn’t nice, what is? advice for the young too.